Van Gogh Museum Enterprises and its associated companies cannot be held liable for information in any form placed on the websites www.vangoghmuseum.nl, www.vangoghmuseum.com and images.vangoghmuseum.com by third parties or for information in print media founded on data of the websites www.vangoghmuseum.nl, www.vangoghmuseum.com and images.vangoghmuseum.com (hereinafter referred to as these websites). Van Gogh Museum Enterprises is not liable, nor responsible for the content of any off-site pages or pages linked to or derived from the Van Gogh Museum Enterprises websites. The information on these websites has been inserted with the utmost care and is provided ‘as is’, without any guarantee, in any form whatsoever, explicitly or implicitly, including but not limited to guarantees concerning merchantability, uses, non-infringement, accuracy and the information being up-to-date. Van Gogh Museum Enterprises reserves the right to make changes to the content of these websites and to (temporarily) discontinue the websites at all times without prior notice. Van Gogh Museum Enterprises and its associated companies are not liable for any (direct, indirect, and/or consequential) damage (by reason of) (and/or) computer viruses resulting from the access to, the use of and the trust in (the information on) these websites or any website linked to these, except in the case of gross negligence. 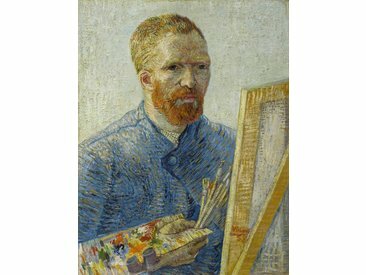 All intellectual property rights relating to the information on these websites are vested in Van Gogh Museum Foundation and its associated companies or have been incorporated with the permission of the holder of the intellectual property rights concerned. All terms and conditions of Van Gogh Museum Enterprises apply.